The strange at Brazil. News of Fortean Journalism. The unexplained. Paranormal, supernatural, anthropology, criptozoology, occultism, spiritualism, ufology, ghosts, miracles. More, more, more: News of the weird reality in Latin America and in the countries of portuguese and spanish language. BRAZIL. UFO. RONDONIA. ROLIM DE MOURA city. April 15, 2016. 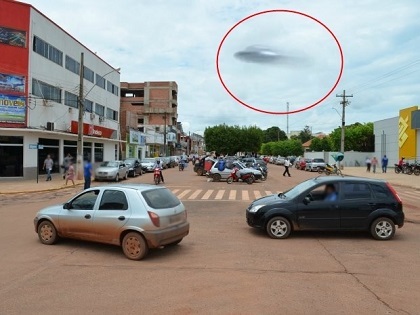 This photo was obtained by a dweller of Rolim de Moura city, Rondonia state. 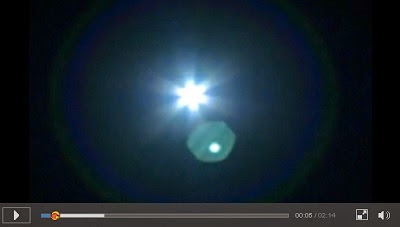 Although, in that moment, the author didn't perceiveid the object at the scene, in the city, other persons whose were at that place, confirm the sighting. They also saw the spaceship crossing the sky, quickly, desappearing amid the clouds. 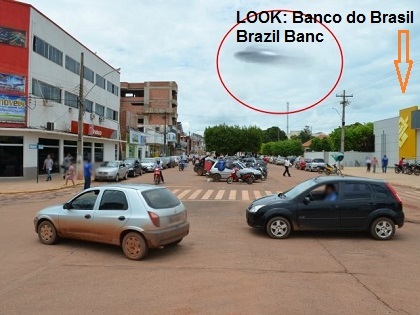 The author of the photos sended the material to local media, newspapers online from Rondonia state.